How does hemochromatosis affect women compared to how it impacts men? That’s a common question, and the answer may surprise you! 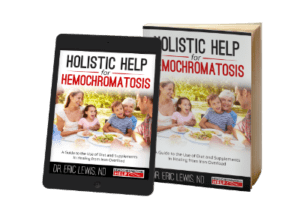 Many of the symptoms experienced by both men and women with hemochromatosis are the same—fatigue, joint pain, weakness, weight loss, stomach pain, and the generalized “I don’t feel well” are found in both men and women. Studies have shown that women, however, are more likely to report feeling “tired” with no other obvious symptoms at first. And because hemochromatosis is often diagnosed around middle age, what happens to many women is that they (and their doctors) just assume, “Oh, she’s tired. It must be menopause.” So a woman is put on hormone replacement therapy, she don’t feel any better, so her doctor increases the dosage of her hormones…all the while, missing the fact that she has developed iron overload! So, is there a connection between menopause and hemochromatosis development in women? There is a common hypothesis that women often develop hemochromatosis symptoms later than men because they have a built-in mechanism for shedding excess iron during their menstrual cycles. The idea is that men don’t lose blood every month, so they have symptoms of iron overload way before women. Women are having sort of a “monthly natural phlebotomy” that hides their iron overload until their periods stop at menopause. Makes sense, right? And WebMD says it’s correct, so it must be so. Here’s the problem. Any actual, real evidence I can find that’s been done to look at this issue comes up with a different story. For example, a study from 1997 looked at this very question to see if there really are differences in how men and women present with hemochromatosis. It had some interesting findings. The researchers did find that women who stopped menstruating before age 50 were more likely to have iron concentrated in their livers than women who continued having periods until after 50. This fits with the idea that many espouse that women are saved some of the ravages of iron thanks to their monthly cycle. 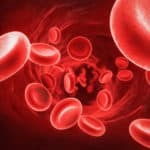 The study also showed that women first showed symptoms of hemochromatosis at age 50, and that men developed symptoms an average of two years earlier, at age 48. Wait, that’s not really much of a difference is it? Only two years? They also found that while half the women at diagnosis had stopped menstruating, the other half were still menstruating at the time their hemochromatosis was discovered. This means that 50% of the women were still having periods, yet they were showing definite signs of iron overload! Finally, the study showed that women were not immune to associated conditions such as diabetes and cirrhosis, conditions that are often considered to be more “male” presentations of hemochromatosis. The ladies got them too—not as often, but they were not immune. So are Women not Immune? Granted, this is only one study, but it does make me take pause and wonder about all the women who aren’t being diagnosed, from possibly incorrect assumptions, as well as lack of awareness from their doctors. At our naturopathic office, we have personally communicated with multiple women in their 20s and 30s who have symptoms and the diagnosis of hemochromatosis, and they are still menstruating yet they exhibit signs of iron overload. It is worth noting that the average period leads to a loss of somewhere between 1-4 mg a day (lots of sources vary on these exact numbers, and it also depends on how heavy your periods are). The amount of iron lost during the average phlebotomy, in contrast, is 200-250 mg. So one might question whether or not that small amount lost during the menstrual cycle really would delay the onset of hemochromatosis symptoms? According to the only study I know of that look at this question, the answer is: no it doesn’t. So while the common assumption that “women don’t show symptoms until menopause” is all over the internet, even listed in some official sounding places like WebMD, I wait for them to show their evidence that this is actually true and not just a convenient theory that may not hold water in reality. And may be leading to women not getting the diagnosis they need when they are younger! Another interesting finding about iron overload as it relates to women is that too much iron is actually associated with the development of bone loss (osteopenia and osteoporosis). This is the case for both women and men! Several studies have looked at women and men with the HFE gene mutation and have shown that even in individuals with normal Vitamin D levels and other markers that usually indicate bone health, a large percentage of the folks with hemochromatosis also show significant bone loss. All of this does make sense when you think about the genetics of hemochromatosis. Unlike some genetic conditions, such as baldness and color-blindness, that are often seen more in one gender than the other, hereditary hemochromatosis sees no such differences between men and women. 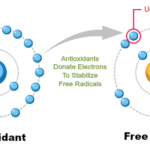 The main gene, the HFE gene, is not associated with gender. So in the end, men and women are both equally able to have the genetics for HH, and therefore, to have the associated symptoms. The symptoms and consequences of hemochromatosis experienced by men can also be experienced by women! As a result, women should be sure to learn about treatment options for iron overload. 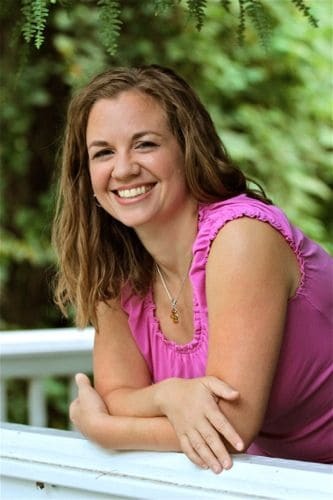 Dr. Kristina Lewis is a naturopathic physician with a special passion for women's health care. She works with patients to encourage and strengthen their body’s own innate healing. She and Dr. Eric have two young children and she is fully enjoying being a mother as well as a doctor! 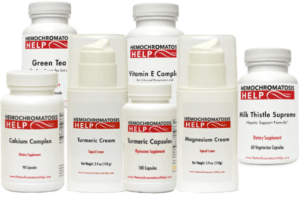 Dr. Kristina has been instrumental in research for the book Holistic Help for Hemochromatosis and in the development for a line of supplements specific to the needs of people with hemochromatosis, available at MyHemochromatosisHelp.com.